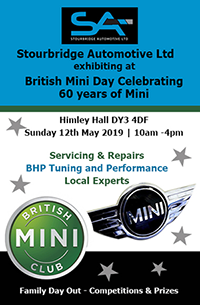 Similarly to other local garages, here at Stourbridge Automotive Ltd we offer the regular vehicle service and maintenance, but have also developed other areas of specialism that set us apart from most. 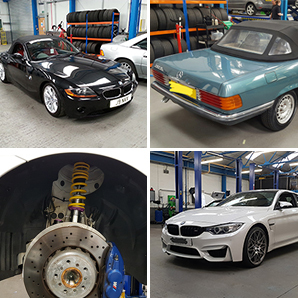 Rossiters UK importers for AC Schnitzer approached Stourbridge Automotive Ltd in October 2015, to become an approved local supplier and fitter of their products for the West Midlands area. Since then we have built a relationship on trust and recommendation for their customers. Alternatively, we can work independently and offer the full service to customers, from liaising with ‘Rossiters’ for the upgraded parts to making the appointment with the customer for the work to be carried out. On site our fully trained technicians offer a complete clean and service for air conditioning systems, click to find out more about the service we offer. At Stourbridge Automotive Ltd we have the capability to carry out diagnostic work on all of the brands we specialise in. Our technicians draw on extensive product knowledge and previous experience in order to solve problems that we see regularly. We work closely with BHP UK, to offer customers remapping specialist service, in order to enhance the performance and fuel efficiency of their vehicle. We offer two options for remapping, as some remapping is more complicated and requires more in depth work depending on the vehicle. Our page demonstrates the changes that are potentially possible from a vehicle remap. This product is the latest we have added to our specialist work. It is a range of treatments that cleanse the engine and the fuel system, which can be requested at the time of servicing. Once the treatment is completed, there can be a noticeable difference on how smooth the vehicle can run which is fairly low cost to achieve. See our page for the results from one of our customers. This is a service often used by customers who are buying a used vehicle from a car trader, or have recently bought a vehicle which is still under the sellers warranty, but are unsure and want a second opinion from a reputable garage they can trust. Our page outlines the full inspection that is given here, even the service history is checked (where applicable) as we would want to make sure that a vehicle is road worthy and that the customer would not face expensive outlay on repair bills afterwards, which unfortunately we do see from time to time.